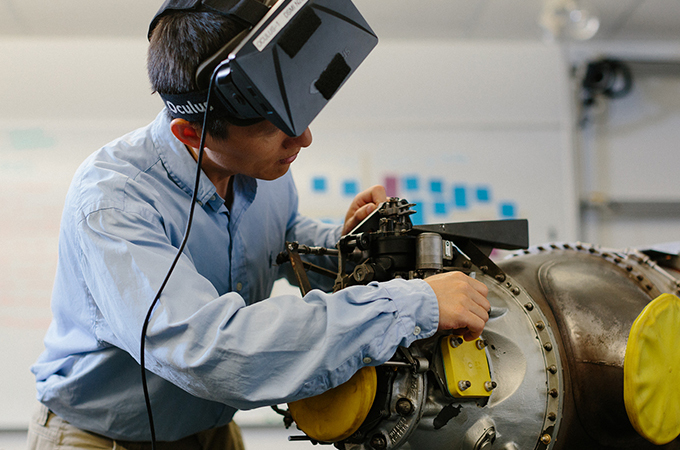 The University of Redlands is proud to announce a collaboration with industrial giant United Technologies Corporation (UTC) to expand educational opportunities for the company’s global workforce. This collaboration will enable UTC employees to pursue graduate or undergraduate degrees offered by the University of Redlands at one of its seven campuses in California or via the University’s online MBA program. UTC employees will receive tuition discounts and customizable schedules at Redlands through the company’s Employee Scholar Program. The agreement features University of Redlands’ School of Business offerings for UTC employees and also includes offerings from U of R’s School of Education. The new, nationwide agreement builds upon an existing relationship between the University of Redlands School of Business and UTC locations in Riverside and San Diego Counties, where more than 200 employees have enrolled in undergraduate and graduate business degree programs. In addition to UTC, the University of Redlands has partnerships with more than 400 organizations—including community colleges, public agencies such as law enforcement and city government, and the U.S. Department of Veterans Affairs. The programs use a cohort-based approach with numerous one- and two-year options for graduate students and innovative pathways for undergraduate students. Since 1996, UTC employees in more than 60 countries have earned more than 39,000 degrees. Global full-time and part-time UTC employees are eligible for the program after one year of continuous service. Currently, there are more than 6,500 employees enrolled in the Employee Scholar Program. Visit the University of Redlands website to learn more about its programs; visit the UTC website to learn more about the company.